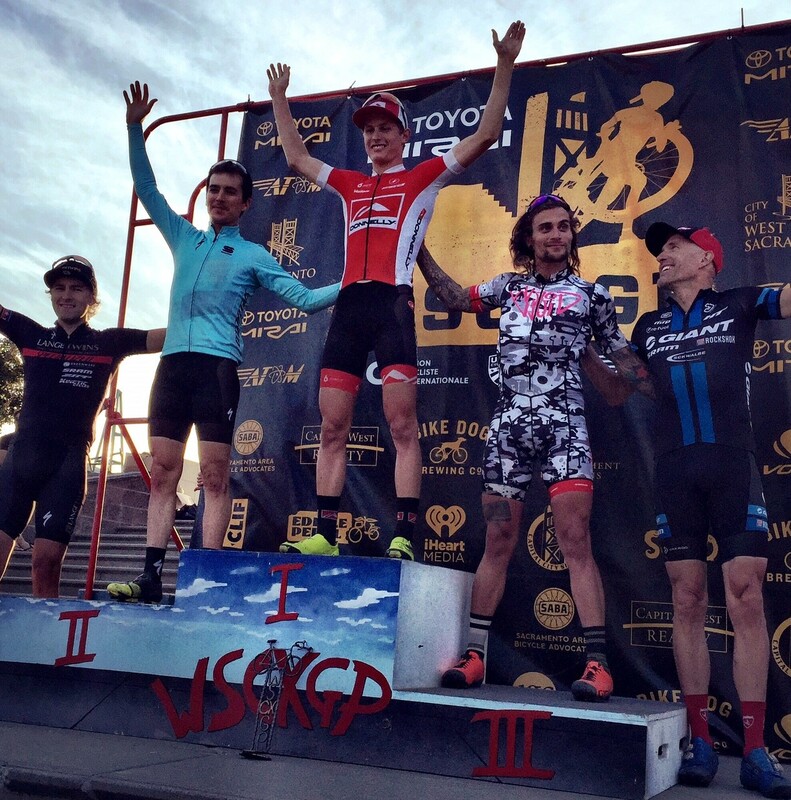 It was a breakthrough weekend for U23 National Champion Lance Haidet as he nailed two big results at the West Sacramento Grand Prix. On Saturday he took Anthony Clark to the line and missed the win by less than a couple of inches. "The course was super fun with a couple tricky sections that definitely forced me to be attentive and race with my head up." said Lance. 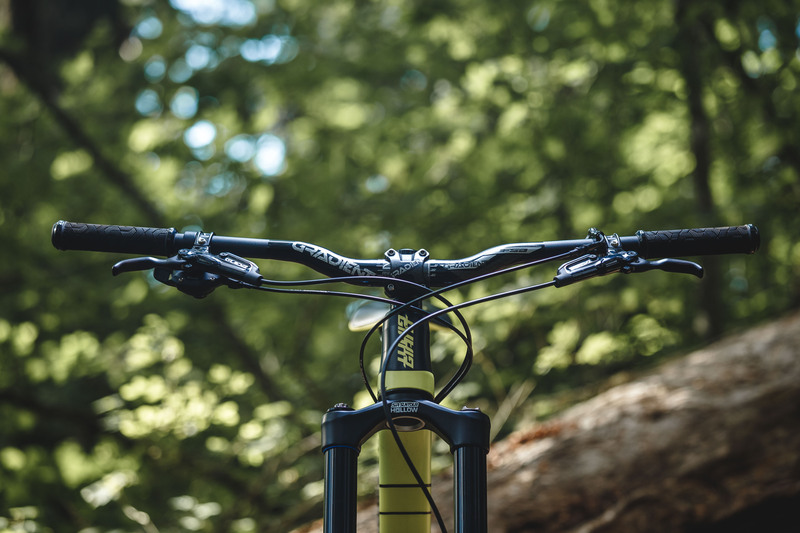 "The group broke up fairly quickly and it was just Anthony and I riding together for most of the race. I moved to the front with half a lap to go, but wasn't able to get a gap. I led out the sprint and felt like I was in one gear too big. Anthony got the jump on me, and I lost by about half a wheel. It was so close!" Sunday was more of the same, but with a better outcome. "It was really windy, which neutralized things a bit and allowed for a bigger group to stay together. I attacked with two laps to go, and narrowed it down to just Allen Krughoff, Anthony and I," said Lance. "I attacked again into the sandpit on the last lap and got a small gap, but a bobble late in the race allowed them to get back on my wheel. It came down to a sprint again, but I learned my lesson from yesterday and started my sprint in a bit easier gear. Thankfully it worked!" Lance will be taking the next weekend off from racing. He will be reunited with his entire team again in Boulder, CO on October 14th and 15th. As a Colorado-based company, Donnelly is looking forward to having our whole team together for this home town race! Desert-like conditions greeted Jamey and Laurel at the KMC Cross Fest in Connecticut this past weekend. The 3-day festival featured an evening UCI race on Friday and another UCI race on Sunday. "Friday night was fun. I was racing well and had good legs." said Jamey. "I wanted the win and tried to get a gap, but I could not get away." Jamey would finish sixth, just four seconds off race winner Tobin Ortenblad. "I didn't go as well on Sunday, but that's racing. Some days the legs are good and other days, well, you know, " joked Jamey. He would finish 10th on the day. Laurel Rahtbun had two solid days at the KMC Cross Fest. She finished 10th on Friday evening and 13th on Sunday. Both results landed her on the podium for the U23 category. "I took 5 days off leading up to this weekend. It's always mentally challenging to take so much time off, but it worked out well," said Laurel. " The course was fast and suited me well. I had my best UCI C1 result on Friday night so things are moving in the right direction!" 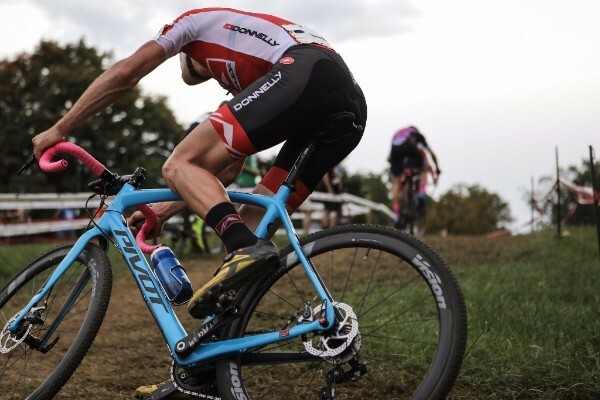 Next up for Jamey is the Charm City Cross UCI races in Maryland. Laurel will be taking a weekend off and she will return to racing action with the team on October 14th and 15th in Boulder, CO.